If you’re searching for ways to connect your business to the residents and visitors of Park City, the Park Record has you covered. With a media mix that includes our twice-a-week newspaper we reach your desired audience through social media, online video, local events, special seasonal guides, and more. 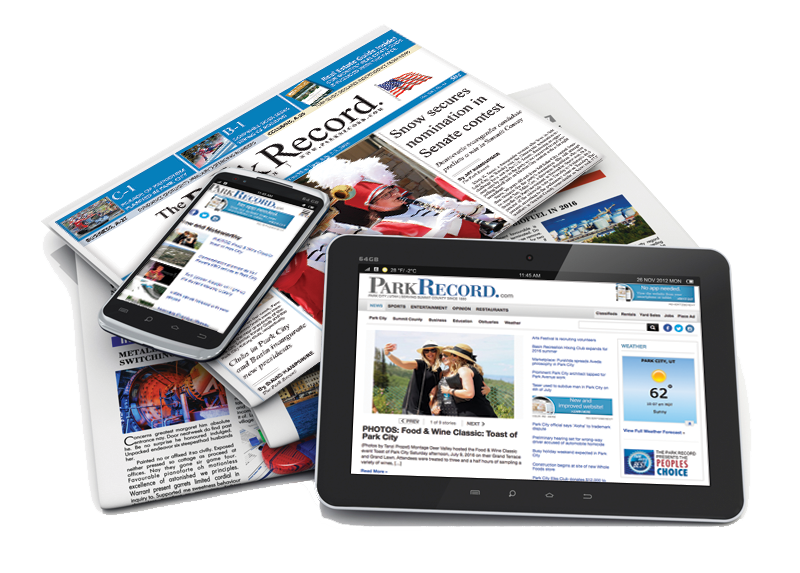 The Park Record is a paid circulation paper, with approximately 8,000 copies delivered twice a week to subscribers, plus available at more than 200 distribution locations throughout Park City and Summit County. Online, www.parkrecord.com sees over a 110,000 unique visitors each month from around the world. Our readers are second homeowners, locals, and visitors seeking information and news about the community. With a variety of channels of distribution, the Park Record reaches a targeted audience with the print and digital solutions that place your message in front your future customers. Online, www.parkrecord.com sees over 4 million viewers each year. We fill more than 200 distribution locations through the area, including the Salt Lake International Airport. Our marketing opportunities expand beyond Summit County, UT. Please speak with one of our account managers about reaching other resorts in Colorado, Nevada and California.